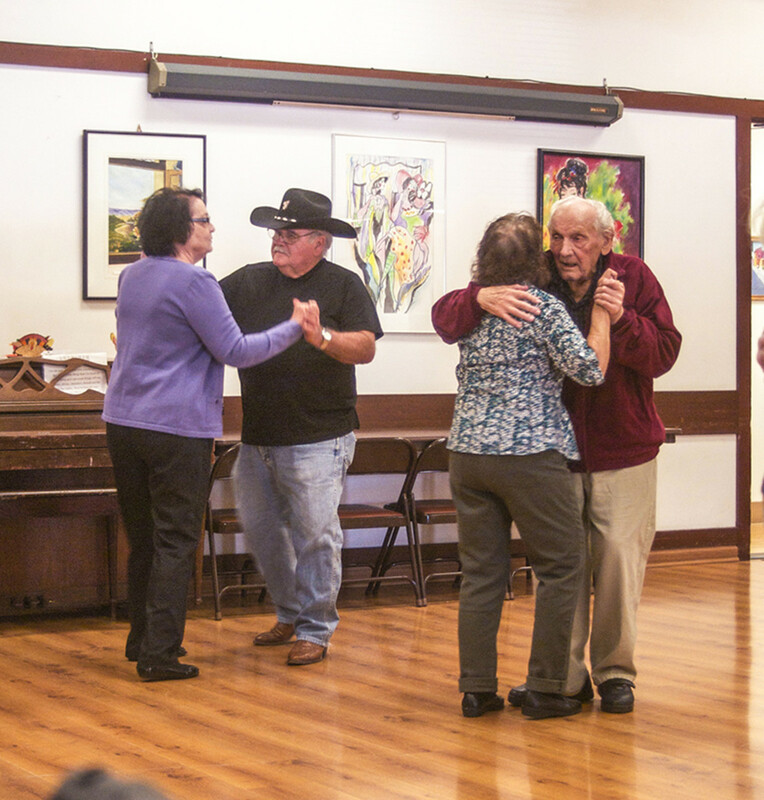 The elder population is usually more vulnerable to situations such as medical emergencies, falls, fires, and theft. So, advertising for Personal Emergency Response Systems (PERS) often appear in senior magazines. The following four manufacturers of PERS frequently appear in the AARP Bulletin: MobileHelp from MobileHelp.com or Mobile HelpNow.com, 5 Star Urgent Response from GreatCall, Medical Alert Systems also called Medical Alert Alarm System from Connect America, and Philips Lifeline phone with AutoAlert from Philips & Company. PERS refer to an alert button you press to signal a response emergency center either through a console to your phone or directly to theirs that you need help. 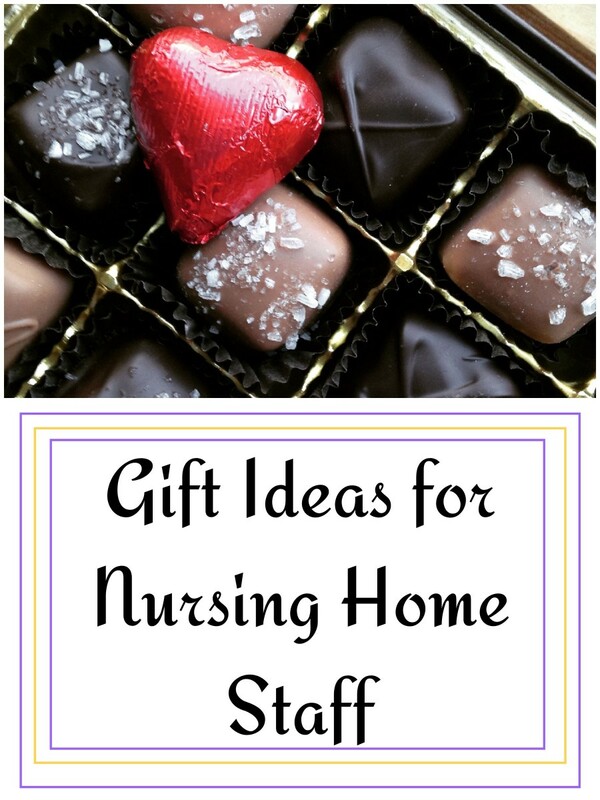 They purport to provide a sense of security and relief to seniors (and loved ones), especially those who choose independent living. Many of these companies provide evidence to support the need of PERS on their website. For instance, Connect America has information from the Center for Disease Control and Protection, which states that in one year, more than one-third of adults, 65 years and older, will fall. Two-thirds of them will fall again in six months. These tumbles can cause serious injuries such as broken bones and head trauma. If the fallen is unable to get up, it could create further complications such as dehydration, and even death. Philips Lifeline claims that an older person in the United States (U.S.) falls every 2.3 seconds, and half will be unable to rise. In the table below, this article compares the equipment and services offered by the four manufacturers. It then points out what important information is or is not included in each of their ads. The article ends with a checklist of suggestions to help you if you are in the market for a PERS. Provides medical emergencies, falls, fire, & security assistance. Services avail. nationwide. 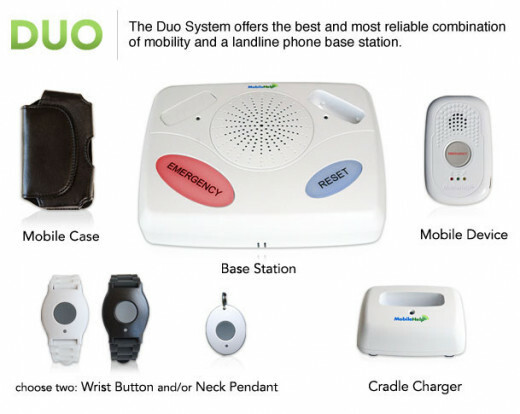 Offers 3 different types of services: Duo- base station & mobile device help button, works inside & outside the home via GPS tracking; Solo- provides monitoring service without landline & mobile device also works outside the home via GPS; Classic- Base station works inside & around home. Base station range to Help Button is 600 ft. Mobile device range to Help Button is 250 ft. Range of Help Button by itself is unlimited. GPS coverage is limited & not always avail. Base Station has approx. 30 hours of backup power. Wireless Network is AT&T. Monitoring Center is outsourced to Acadian Monitoring Services in LA & IL. Agents trained for 3 months & receives Alarm Company Employee (ACE) certification. Offers unique ID to identify you. VOIP (Voice Over Internet Protocol) may not be compatible with Base Station. Website offers thorough FAQ. Base Station plugs into power outlet & phone jack. No equipment costs. Free repair/ replacement. Offers 3 different plans & fees: Mobile Plans with free activation- Annual: $36.95/mo (total: $443.40), Quarterly: $39.95/mo (total:119.85), Monthly: $41.95/mo (total: $41.95). Mobile Plans with one-time activation fee-- Annual: free; Quarterly: $49.00; Monthly: $99.00. Classic Plans- Annual: $19.95/mo & free activation; Quarterly: $24.95/mo & one-time activation fee of $22.00; Monthly: $29.95/mo & one-time activation fee of $45.00. Free shipping. No contracts. BBB (Better Business Bureau) accredited. FDA-registered medical device manufacturer. Provides medical emergencies, fire, & security assistance. Avail nationwide. Devices work inside & outside home. Mic & speaker on the device gives loud, clear cellular 2-way communication. Wireless network is Verizon. 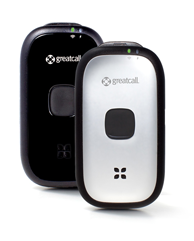 GPS Online Locator Service @ mygreatcall.com to find family & friends. GPS service may not find your exact location but approximate. Device cannot detect falls. National Academy of Emergency Dispatch agents are trained in CPR & other emergeny procedures, work 24/7, U.S.-based, remain with you on the line until issue is solved/ call you later, can dispatch 911 emergency service via special code. Nurses also offered 24/7, offers bilingual or multilingual translation support of over 100 languages. Four different ways of setting up personal profiles. Personal info protected by SAS 70 Type II certified data center, which is "HIPAA compliant." Also offers cellular smartphone services with 5 Star technology app. Website offers thorough FAQ. Button can be attached to your person: belt, keychain, purse. One-time activation fee of $35.00. Monthly service fee of $14.99/mo. No installation fee. Battery charger: $24.99. GreatCall phone: $49.99. Jitterbug Cellphone: $80.00 -$100.00 with various monthly calling plans. No contracts. Cancel anytime. Endorsed by John Walsh of TV's "America's Most Wanted." Provides medical emergencies, fire, & police. assistance. Avail nationwide. Range of button to base unit is 600 ft. Base unit can support mulitple help buttons; has Braile characters for 'emergency', 'home', & 'clear' buttons; when base unit is activated, signal on transmittor light green, if low battery power when activated, signal indicator lights red; transmittor sends status signal every 2 hours & tests for low battery power, battery has 32-hour backup power. System works with any type of phone line. Monitoring center is owned by company, U.S.-based, UL(Underwriters Laboratories)-certified, offers 24/7 service. Agents are trained in emergency situations & international language for real time translation of over 140 languages; agents stay on line with you until help arrives, dispatch local EMS, check your stats, notify loved ones. Personal info is secured. Also offers MobileAlert Button with GPS tracking capability for active seniors; coverage is not always avail & may track your approximate location. Wireless network is AT&T. Offers tech support. Website FAQ not as thorough. Base unit connects to power outlet & landline phone jack or modem & VOIP. No activation fee. No installation fee. No equipment cost inc. No equip. replacement costs. MobileAlert monitor. Basic monitoring service: $29.95/mo. MobileAlert service: $39.95/mo. No long term contracts. Lifetime warranty. BBB_accredited. 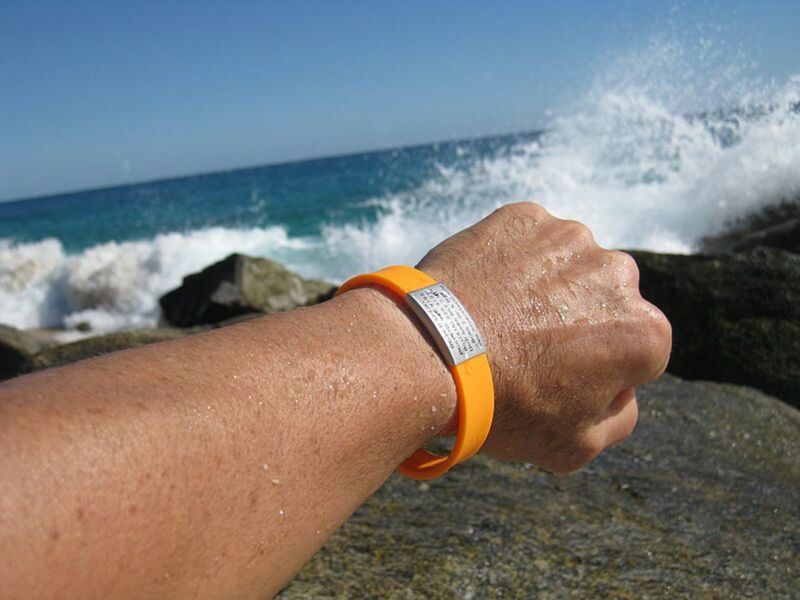 Pendant/ wristband detects medical emergencies, fires, burglary. With AutoAlert pendant only: detects falls 95% of the time & automatically calls for help if you are unable to press button yourself. No sound mechanism built in to help button. Voice extension console place in area different from main console will increase 2-way sound speaker phone voice communication. Each base has range of 800 ft. Care Partner Communicator works with Personal Help Button & your existing phone. If Internet is on same phone, need to install a filter. Range of lifeline button is tested in & around home. Philips sends skilled technician to your home to install equipment. Monitoring center operates 24/7 (BBB complaint: takes 8 minutes to respond to call). Lifeline service is incompatible with Verizon Home Connect & other wireless services. Specific costs not clearly or automatically listed on website, but there is an FAQ & trouble shooting tools. 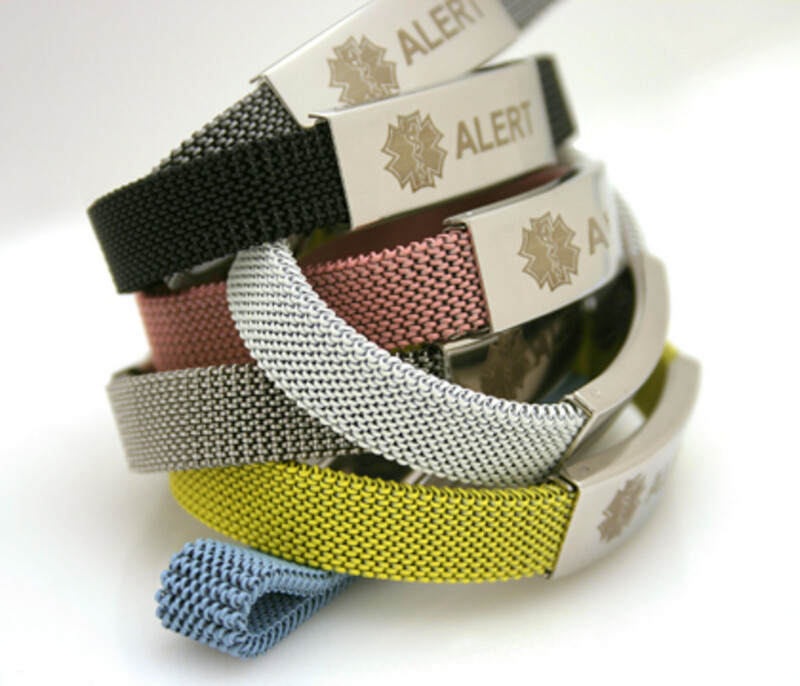 AutoAlert button automatically detects falls & alerts monitoring center if you cannot. 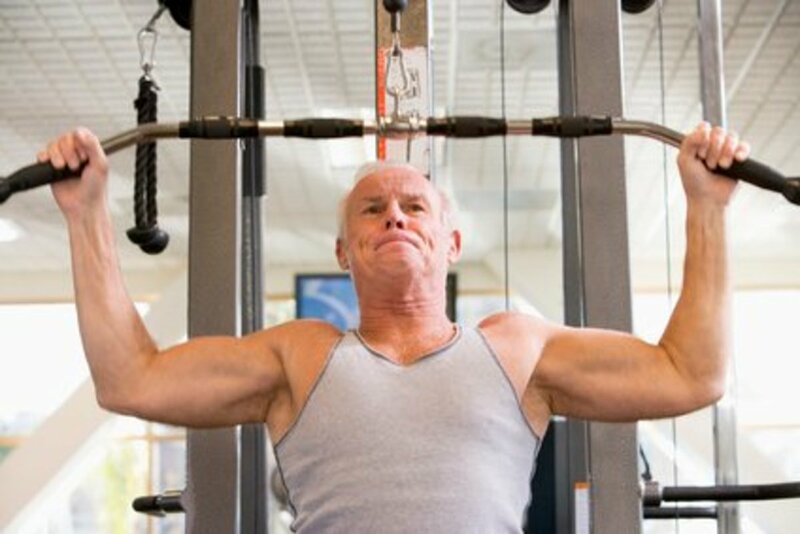 No activation fee, No equipment cost. Service fees depend on where you live. Standard service fee is $32.00 - $38.00/mo. The additional AutoAlert service is $40.00 - $53.00. Another plan: Standard emergency alert service i.e. PERS is $40.00/mo. With fall detection: $53.00/mo. No long term contracts. Cancel anytime. Lifetime warranty. BBB-accredited. FDA-registered. In regular text and bullet format, MobileHelp’s ad mentions the main features of their devices and pertinent services offered. The ad does not include the types of emergencies their devices handle, training or experience of their agents, costs, cancellation policy or accreditations. Some negatives about their GPS service and wireless network appear in fine print. 5 Star Urgent Response’s ad mentions general features about their equipment, including the variety of systems they offer, agents’ training, some costs, and cancellation policy. Part of the information for both their 5 Star technology and their Jitterbug Plus phone is bulleted. No accreditations are listed, but there is an endorsement. Negatives about their GPS service and wireless network appear in difficult-to-read fine print. Medical Alert System or Medical Alert Alarm System’s ad includes information (some of which is bulleted) about the type of emergencies their equipment handles, services, costs, and accreditations. There is no information about the training or experience of their agents or cancellation policy. The ad has no fine print. Philips Lifeline’s ad offers a comparison table, but specific companies are not mentioned. There is also no mention of costs or cancellation policy. There is an endorsement from a generic female user, and pertinent information about their devices and services is in fine print. If you are interested in purchasing a PERS, I suggest you do a thorough search of these and other companies’ websites. Make sure you fully understand what is being offered and how it best suits your needs. Call their customer support, if you’re still unsatisfied. 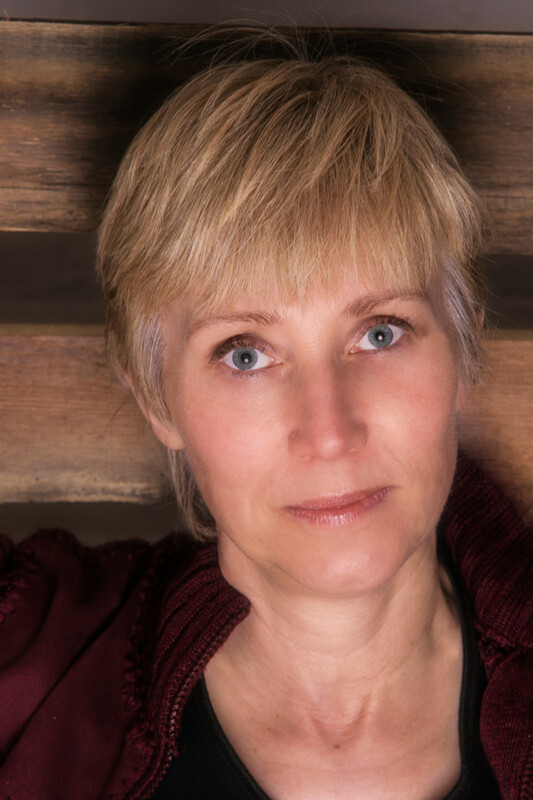 PERS are usually necessary for people with many medical issues, disabled, and live alone. - Determine whether the company offers options to rent/ lease or purchase their PERS. - Exact equipment or devices and services they offer. - Equipment compatibility with your Internet and/ or wireless network services. - Is the equipment waterproof? - Get a list of all specific charges or costs, including cancellation fees, if necessary, and make sure they are clearly understood. - What is their equipment return policy? - What is their equipment repair and/ or replacement policy? - Do they offer tech support and is it 24/7? - Where is their response monitoring center located? - Do they own the response monitoring center or are they outsourcing, and is it a 24/7 operation? - Is the response monitoring center manned by multilingual, trained, experienced agents? - How much training do agents receive and in what area of medical and other emergency situations are they trained? - What is the response time for help to reach you after you have placed a call? - Do they offer toll-free calling and email support? - Can your system be transferred if you move? - How secure is your personal and medical information? - Are they accredited and from whom? (They should include the Better Business Bureau and local consumer protection agencies. Do your own research). Additionally, seek recommendations from your health providers, family, friends, neighbors, or government websites such as www.eldercare.gov. In the July-August issue of the AARP Bulletin, an article “Your Money- Scam Alert – Cause for Alarm” by Sid Kirchheimer cautioned to be aware of robocalls or cold calls offering free medical alert systems, in exchange for your credit card or bank information, insisting that your health provider recommended the device, insisting you ordered it, and threatening you with law suits if you do not pay.